La Etruscan necropolis of reserve Ferrone is located on a tuff castellina bounded by the ditch slow, one of the main tributaries of the river Mignone, and two of its tributaries in an area where many were the ways of link between the coast and the hinterland. The first official excavations are performed in the 50s and 60s with the recovery of many tombs which in part had already been plundered by illegal immigrants. The different stages of the research undertaken in the area have brought to light one of the most interesting sites of the Tolfa Hills. In addition to the presence of the Etruscans, on the plateau were in fact found fragments of pottery from the Bronze Age, the remains of a Roman villa of the imperial age and the ruins of a fortified medieval castro (XIII – XIV century). Confirming the location of the during the various historical periods. At the present state of research on the Etruscan period is the most studied and documented. To date about 40 graves identified although it is not clear what he was referring to the town cemetery (probably the village of Piana di Stigliano). Through the various stages of investigation has been possible to reconstruct the historical development of the cemetery that appears to have been used from the mid-seventh century. B.C. in the early fifth century. B.C. (As also common to other cemeteries in the area). 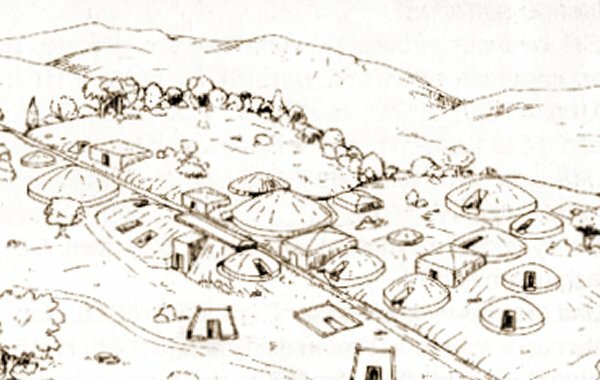 The findings, types tomb, the organization of the necropolis around a “Cut” (cemetery road), are directly related to the ancient Cerveteri, evidence of the political, economic and cultural life of this area by dell’etrusca Caere. There are numerous sepulchres covered with mounds of large dimensions, especially the older ones. So far, only one tomb was found semi built, also the seventh century. BC, while the most common type of Ferrone is the underground tombs with one or two rooms with beds and quay side. Of particular interest are the Tomb of the Thrones and tombs known as F28 and F15: these are the only example of a cube tombs of the Tolfa mountains that refers directly to the types present in Cerveteri. The tombs carved directly into the rock, were originally monumentalizzate by walls formed of square blocks of tufa. The date (approximate due to lack of ceramics) is around the second half of the sixth century. BC. The Tomb of Thrones is so called because of the presence of two thrones tuff within the large inlet chamber onto which the other three bedrooms, each with double burial. 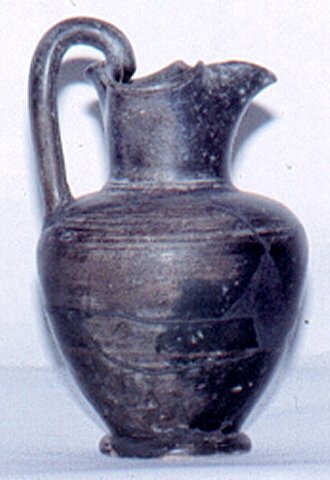 In 1995, during an excavation campaign, was found an intact tomb (F19 – VI century BC.) With the seals still in place. In addition to numerous pottery kit, were found the bones of the dead still resting on the beds. Perhaps the tomb may have been violated in more distant periods without causing particular damage. The artefacts found at the necropolis of Ferrone, exhibited in the museum of Tolfa denote wealth and taste. 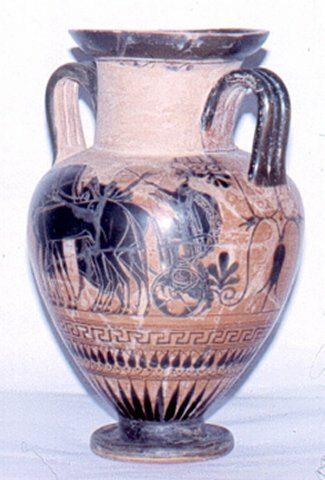 Numerous objects imported (mostly Greek) with remarkable presence of productions including the Etruscan amphora by the Painter of Micali, the Amphora Group Tolfa and a crater in bucchero with inscription preitalica.